Omaha Personal Injury & Estate Planning Lawyer | Bottlinger Law L.L.C. In a time of uncertainty, our goal is to put you at ease, knowing that recovery is just around the corner. We are an honest and compassionate firm, proud of our Midwestern values and work ethic. We pledge to keep your present and future in mind. For over 10 years, lawyer Jason B. Bottlinger has provided real solutions for real people. Whether you’ve been injured in an accident, wish to draw up a will, or want to secure water rights for your land, our firm has the knowledge and experience to get you the best results possible. Call our Omaha offices today for a free consultation at (402) 505-8234. We are licensed to practice law in Nebraska, Iowa, and Texas. We proudly serve clients throughout the Midwest, from the Dakotas down to the Gulf Coast of Texas. 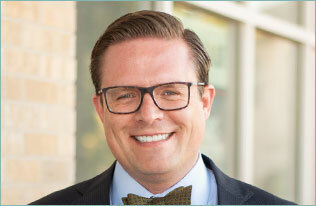 Founding attorney Jason B. Bottlinger brings over 10 years of experience to his Omaha-based law firm. We guarantee that we’ll put our best effort into your case and that we’ll be with you every step of the way. Producers Livestock Marketing Association v. Peterson A $722,550 judgment on commodity hedge contracts. Lakeside Feeders, Inc. v. Producers Livestock Marketing Association Affirming summary judgment for lender on $1.5 million negligence. Robertson v. Jacobs Cattle Company Affirming judgment of dissociation in family ranch partnership and considering matters of first impression. Bottlinger Law, L.L.C. serves the residents of eastern Nebraska in a variety of legal arenas, including personal injury, estate planning, and commercial litigation. Also, being located in the center of America’s agrarian heartland, we have extensive experience in all facets of agricultural law.